A detailed essay covering the continuity of the message of Islam, its solution for mankind, the Qur'an, the Prophet Muhammad and more. The most important truth that God revealed to mankind is that there is nothing divine or worthy of being worshipped except for Almighty God, thus all human beings should submit to Him. 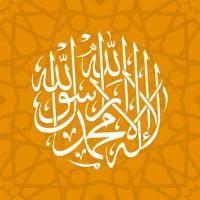 The word "Islam" is an Arabic word which means "submission to the will of God". This word comes from the same root as the Arabic word "salam", which means "peace". As such, the religion of Islam teaches that in order to achieve true peace of mind and surety of heart, one must submit to God and live according to His Divinely revealed Law. The most important truth that God revealed to mankind is that there is nothing divine or worthy of being worshipped except for Almighty God, thus all human beings should submit to Him. The word "Muslim" means one who submits to the will of God, regardless of their race, nationality or ethnic background. Being a Muslim entails willful submission and active obedience to God, and living in accordance with His message. Some people mistakenly believe that Islam is just a religion for Arabs, but nothing could be further from the truth. Not only are there converts to Islam in every corner of the world, especially in England and America, but by taking a look at the Muslim World from Bosnia to Nigeria, and from Indonesia to Morocco, one can clearly see that Muslims come from many various races, ethnic groups and nationalities. It is also interesting to note that in actuality, more than 80% of all Muslims are not Arabs - there are more Muslims in Indonesia than in the whole Arab World! So though even though it is true that most Arabs are Muslims, the large majority of Muslims are not Arabs. However, anyone who submits completely to God and worships Him alone is a Muslim. Islam is not a new religion because "submission to the will of God", i.e. Islam, has always been the only acceptable religion in the sight of God. For this reason, Islam is the true "natural religion", and it is the same eternal message revealed through the ages to all of God's prophets and messengers. Muslims believe that all of God's prophets, which include Abraham, Noah, Moses, Jesus and Muhammad, brought the same message of Pure Monotheism. For this reason, the Prophet Muhammad was not the founder of a new religion, as many people mistakenly think, but he was the Final Prophet of Islam. By revealing His final message to Muhammad, which is an eternal and universal message for all of mankind, God finally fulfilled the covenant that He made with Abraham, who was one of the earliest and greatest prophets. Suffice it to say that the way of Islam is the same as the way of the prophet Abraham, because both the Bible and the Qur'an portray Abraham as a towering example of someone who submitted himself completely to God and worshipped Him without intermediaries. Once this is realized, it should be clear that Islam has the most continuous and universal message of any religion, because all prophets and messengers were "Muslims", i.e. those who submitted to God's will, and they preached "Islam", i.e. submission to the will of Almighty God. The foundation of the Islamic faith is belief in the Oneness of Almighty God - the God of Abraham, Noah, Moses and Jesus. Islam teaches that a pure belief in One God is intuitive in human beings and thus fulfills the natural inclination of the soul. As such, Islam's concept of God is straightforward, unambiguous and easy to understand. Islam teaches that the hearts, minds and souls of human beings are fitting receptacles for clear divine revelation, and that God's revelations to man are not clouded by self-contradictory mysteries or irrational ideas. As such, Islam teaches that even though God cannot be fully comprehended and grasped by our finite human minds, He also does not expect us to accept absurd or demonstrably false beliefs about Him. According to the teachings of Islam, Almighty God is absolutely One and His Oneness should never be compromised by associating partners with Him - neither in worship nor in belief. Due to this, Muslims are required to maintain a direct relationship with God, and therefore all intermediaries are absolutely forbidden. From the Islamic standpoint, believing in the Oneness of God means to realize that all prayer and worship should be exclusively for God, and that He alone deserves such titles as "Lord" and "Saviour". Some religions, even though they believe on "One God", do not make all of their worship and prayers for Him alone. Also, they also give the title of "Lord" to beings that are not All-Knowing, All-Powerful and Un-Changing - even according to their own scriptures. Suffice it to say that according to Islam, it is not enough that people believe that "God is One", but they must actualize this belief by proper conduct. In short, in the Islamic concept of God, which is completely based on Divine Revelation, there is no ambiguity in divinity - God is God and man is man. Since God is the only Creator and continual Sustainer of the Universe, He is transcendent above His creation - the Creator and the creature never mix. Islam teaches that God has a unique nature and that He is free from gender, human weaknesses and beyond anything which human beings can imagine. The Qur'an teaches that the signs and proofs of God's wisdom, power and existence are evident in the world around us. As such, God calls on man to ponder over the creation in order to build a better understanding of his Creator. Muslims believe that God is Loving, Compassionate and Merciful, and that He is concerned with the daily affairs of human beings. In this, Islam strikes a unique balance between false religious and philosophical extremes. Some religions and philosophies portray God as just an impersonal "Higher Power" who is uninterested, or unaware, of the life of each individual human. Other religions tend to give God human qualities and teach that He is present in His creation, by being incarnate in someone, something - or even everything. In Islam, however, Almighty God has clarified the truth by letting mankind know that He is "Compassionate", "Merciful", "Loving" and the "Answerer of Prayers". But He as also emphasized strongly that "there is nothing like unto Him", and that He is high above time, space and His creation. Finally, it should be mentioned that the God that Muslims worship is the same God that Jews and Christians worship - because there is only one God. It is unfortunate that some people mistakenly believe that Muslims worship a different God than Jews and Christians, and that "Allah" is just the "god of the Arabs". This myth, which has been propagated by the enemies of Islam, is completely false since the word "Allah" is simply the Arabic name for Almighty God. It is the same word for God which is used by Arabic-speaking Jews and Christians. However, it should be clarified that even though Muslims worship the same God as Jews and Christian, their concept of Him differs somewhat from the beliefs of other religions - mainly because it is based completely on Divine Revelation from God. For example, Muslims reject the Christian belief that God is a Trinity, not only because the Qur'an rejects it, but also because if this was God's true nature, He would have clearly revealed it to Abraham, Noah, Jesus and all of the other prophets. Unlike the founders of many religions, the final prophet of Islam is a real documented and historical figure. He lived in the full light of history, and the most minute details of his life are known. Not only do Muslims have the complete text of God's words that were revealed to Muhammad, but they have also preserved his saying and teachings in what is called "hadeeth" literature. This having been said, it should be understood that Muslims believe that the Prophet Muhammad was only a man chosen by God, and that he is not divine in any way. In order to avoid the misguided wish to deify him, the Prophet Muhammad taught Muslims to refer to him as "God's Messenger and His Slave". The mission of the last and final prophet of God was to simply teach that "there is nothing divine or worthy of being worshipped except for Almighty God", as well as being a living example of God's revelation. In simple terms, God sent the revelation to Muhammad, who in turn taught it , preached it, lived it and put it into practice. In this way, Muhammad was more that just a "prophet" in the sense of many of the Biblical prophets, since he was also a statesman and ruler. He was a man who lived a humble life in the service of God, and established an all-encompassing religion and way of life by showing what it means to be an ideal friend, husband, teacher, ruler, warrior and judge. For this reason, Muslims follow him not for his own sake, but in obedience to God, because Muhammad not only showed us how to deal with our fellow human beings, but more importantly, he showed us how to relate to and worship God, worship Him in the only way pleasing to Him. Like other prophets, Muhammad faced a great deal of opposition and persecution during his mission. However, he was always patient and just, and he treated his enemies well. The results of his mission were very successful, and even though his mission started in one of the most backward and remotes places on earth, within a hundred years of the death of Muhammad, Islam had spread from Spain to China. The Prophet Muhammad was the greatest of all of God's prophets, not because he had new doctrines or greater miracles, but because the results of his mission have brought more human beings into the pure and proper belief in the One True God than any other prophet. In the Noble Qur'an, God teaches human beings that they were created in order to worship Him, and that the basis of all true worship is God-consciousness. Since the teachings of Islamic encompass all aspects of life and ethics, God-consciousness is encouraged in all human affairs. Islam makes it clear that all human acts are acts of worship if they are done for God alone and in accordance to His Divine Law. As such, worship in Islam is not limited to religious rituals. The teachings of Islam act as a mercy and a healing for the human soul, and such qualities as humility, sincerity, patience and charity are strongly encouraged. Additionally, Islam condemns pride and self-righteousness, since Almighty God is the only judge of human righteousness. The Islamic view of the nature of man is also realistic and well-balanced. Human beings are not believed to be inherently sinful, but are seen as equally capable of both good and evil. Islam also teaches that faith and action go hand-in-hand. God has given people free-will, and the measure of one's faith is one's deeds and actions. However, human beings have also been created weak and regularly fall into sin. This is the nature of the human being as created by God in His Wisdom, and it is not inherently "corrupt" or in need of repair. This is because the avenue of repentance of always open to all human beings, and Almighty God loves the repentant sinner more than one who does not sin at all. The true balance of an Islamic life is established by having a healthy fear of God as well as a sincere belief in His infinite Mercy. A life without fear of God leads to sin and disobedience, while believing that we have sinned so much that God will not possibly forgive us only leads to despair. In light of this, Islam teaches that: only the misguided despair of the Mercy of their Lord. Additionally, the Noble Qur'an, which was revealed to the Prophet Muhammad, contains a great deal of teachings about the life hereafter and the Day of Judgment. Due to this, Muslims believe that all human beings will ultimately be judged by God for their beliefs and actions in their earthly lives. In judging human beings, Almighty God will be both Merciful and Just, and people will only be judged for what they were capable of. Suffice it to say that Islam teaches that life is a test, and that all human beings will be accountable before God. A sincere belief in the life hereafter is key to leading a well-balanced life and moral. Otherwise, life is viewed as an end in itself, which causes human beings to become more selfish, materialistic and immoral. Islam teaches that true happiness can only being obtained by living a life full of God-consciousness and being satisfied with what God has given us. Additionally, true "freedom" is freedom from being controlled by our base human desires and being ruled by man-made ideologies. This stands in stark contrast to the view of many people in the modern world, who consider "freedom" to be the ability to satisfy all of their desires without inhibition. The clear and comprehensive guidance of Islam gives human-beings a well-defined purpose and direction in life. In addition to being members of the human-brotherhood of Islam, its well-balanced and practical teachings are a source of spiritual comfort, guidance and morality. A direct and clear relationship with Almighty God, as well as the sense of purpose and belonging that ones feels as a Muslim, frees a person from the many worries of everyday life. In short, the Islamic way of life is pure and wholesome. It builds self-discipline and self-control thought regular prayer and fasting, and frees human-beings from superstition and all sorts of racial, ethnic and national prejudices. By accepting to live a God-conscious life, and realizing that the only thing that distinguishes people in the sight of God is their consciousness of Him, a person's true human dignity is realized.